Joe is an American kickboxer who became an underground martial arts champion. 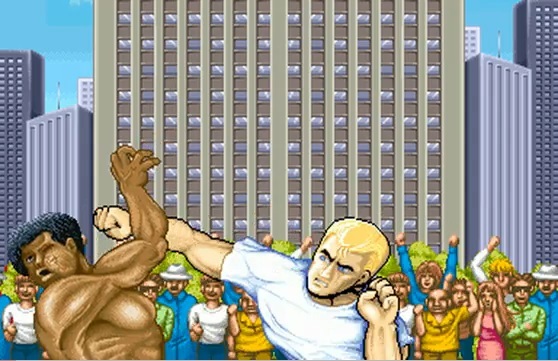 He fought in the first Street Fighter tournament but was defeated. Joe was formerly the unbeaten kickboxing champion of the United States before violent outbursts and financial troubles caused him to become an outlaw on the road. He currently participates in indie wrestling tournaments under the identity "Super Star". It's possible that Joe is loosely based on the late kickboxing legend, Joe Lewis. 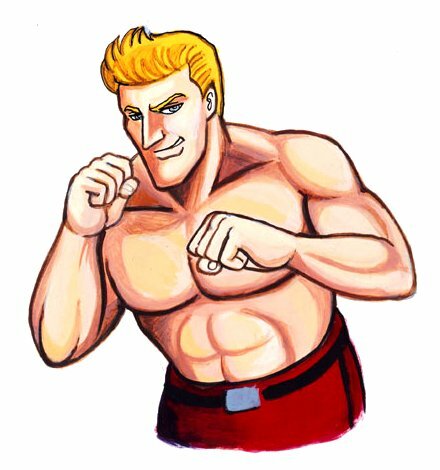 Fun Fact: For many years, fans speculated that Joe was the blond fighter seen in the original Street Fighter 2: World Warrior intro. 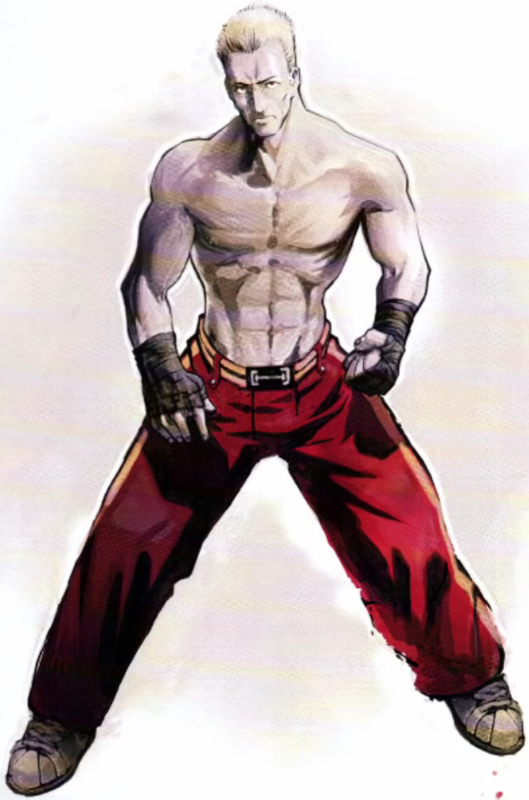 This was later disconfirmed by the Capcom Fighters Network website after the release of Street Fighter V concept artwork and bios for the actual characters who appear in the intro named "Scott" and "Max". 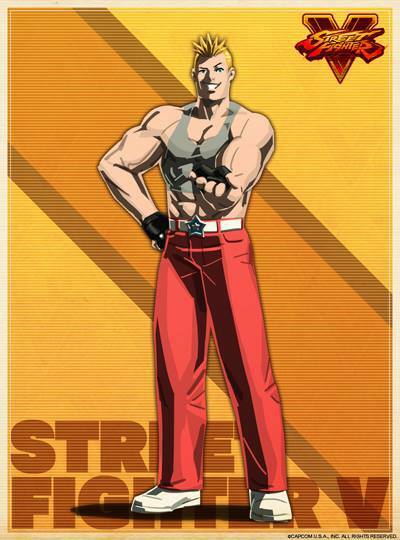 Joe is undisputedly the most generic and unimaginative Street Fighter character in history. Red pants and white shoes... that's it huh? lol. Well, he's got everything he needs to be a generic kickboxer in any 90's martial arts flick. 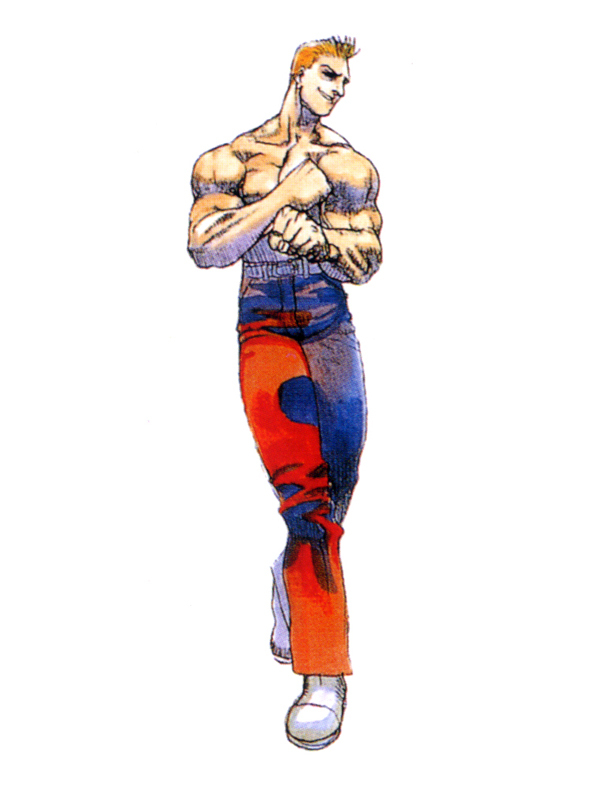 Although he's clearly not a very well thought-out design, in 1987, Joe wasn't a terrible character in SF1. He was a generic bloke to beat up on... and thus served his purpose. Thankfully, Capcom came up with vastly more imaginative characters in the many sequels to come.